The new year has begun in exceptionally violent fashion in north-eastern Nigeria, prompting Christian organisations to renew their pleas for better government security. 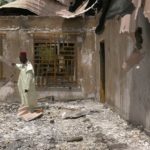 Jan. 26, Waga Chakawa village, Adamawa state: Attackers stormed St. Paul’s Catholic Church during mass, blocked the main door, detonated homemade bombs, and opened fire. Some victims had their throats slit. “My brother was slaughtered like [a] ram,” Moses Yohanna told the Associated Press. News reports differ on the precise number of people killed, but some report the death toll is as high as 53. Jan. 31, Sabon Gari Yamdula village, Adamawa state: Militants broke into an evening prayer service at Ekklesiyar Yan’uwa a Nigeria, or the Church of the Brethren in Nigeria, and started shooting. The pastor and 10 members of the congregation were killed. The attackers attempted to burn the village, but were driven away by armed residents, including youth. Jan. 31, Manchok village, Kaduna state: A Christian family of seven was killed by attackers described to news media by witnesses as being Fulani herdsmen. The Fulani are a West African ethnic group, largely Muslim, that has a history of land grievances with Nigeria’s indigenous Christians and others. Jan. 26, Kawuri, Borno state: Gunmen armed with military rifles and bombs raided the village. They fired on residents and burned hundreds of houses, leaving 85 people dead, then disappeared into the surrounding forest. Jan. 31, Kuthra village, Borno state: A bus ran over a homemade bomb on the road near Kuthra, killing seven and injuring others. In all, 367 people have been killed at the hands of Boko Haram in 22 separate incidents during the first six weeks of 2014, according to the Christian Elders Forum of Northern States. “Not a week has gone by this year that our Christian brothers and sisters in Northern Nigeria have not been threatened, beaten and murdered,” said a forum statement, signed by its chairman, Olaiya Phillips, and national secretary, Emmanuel Danjuma Subilim. The forum called on Nigeria’s federal and state governments to “fulfil their obligation as enshrined in the constitution and guarantee the protection of all Nigerians and their freedom to worship in safety”. It insisted that “none of the Armed Service Chiefs should sleep until Nigerians of all faiths in Borno State can sleep”. 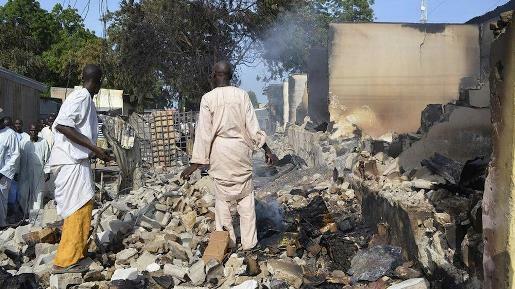 Separately, the Christian Association of Nigeria issued a communiqué on Feb. 12 noting that across Nigeria’s north-eastern and central states, gory stories of killings by shooting and the burning of Christian houses and their churches remain the same. “No fewer than 30 people have also sustained various degrees of injuries in Plateau,” a state in central Nigeria, said association General Secretary, Rev. Musa Asake, reading from the communiqué. “The federal government should come up with an efficient and enduring system that can overwhelm the resurgence of Boko Haram gunmen and Fulani herdsmen who are prowling villages, shooting and killing innocent Christians, particularly those living in the northern part of Nigeria,” Asake said.